This entry was posted in Days at Home, Family, Gypsy, OBX Wild Horses and tagged fall foliage, obx wild horses, tabby cat. Bookmark the permalink. Beautiful randomness this morning! Our trees are MUCH father along in their transition to “naked” for the season than yours……I’m sure those horses miss you as much as you miss them….after all, you are definitely “regular visitors” by now………………………. We didn’t have the sleet over in central VA, but it’s cold and blustery. Dianna, does that horse look pregnant to you by chance? Maybe it’s just me….. Gypsy should have center stage, she’s that pretty! The college sent out a weather advisory yesterday to tune into radio stations, television and the website this morning regarding class closures or late starts. The temps were expected to be in the 20’s over night and folks are always concerned about icy conditions when it gets that cold. Love the horse picture….sad face that I won’t get to see them this trip but maybe the next one……maybe . Fingers crossed. 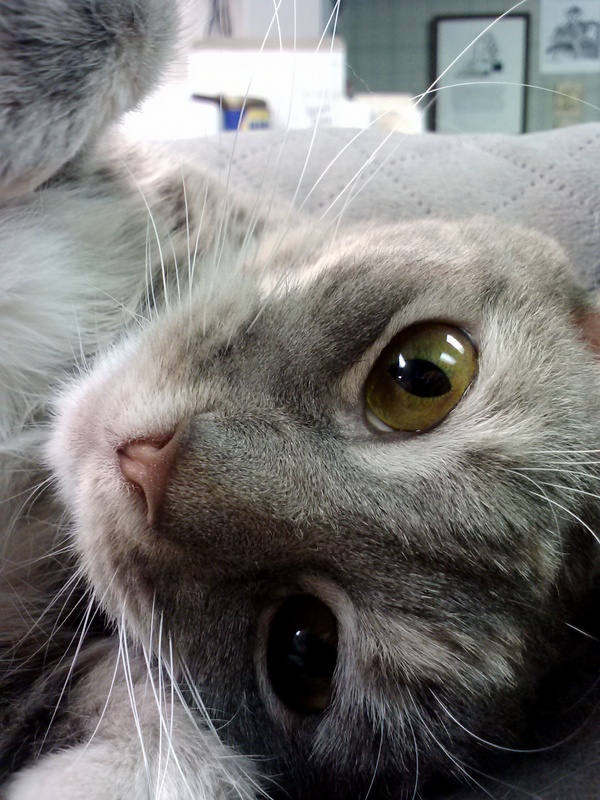 Aww Gypsy.. so nice to see those pretty eyes! That mare has GOT to be in foal!!!!!!!! Your photo from last Friday evening is so beautiful, Dianna. Making your own Christmas cards…I’m very impressed! Love your Randomness today! And how can anyone resist Gypsy girl with those eyes!! 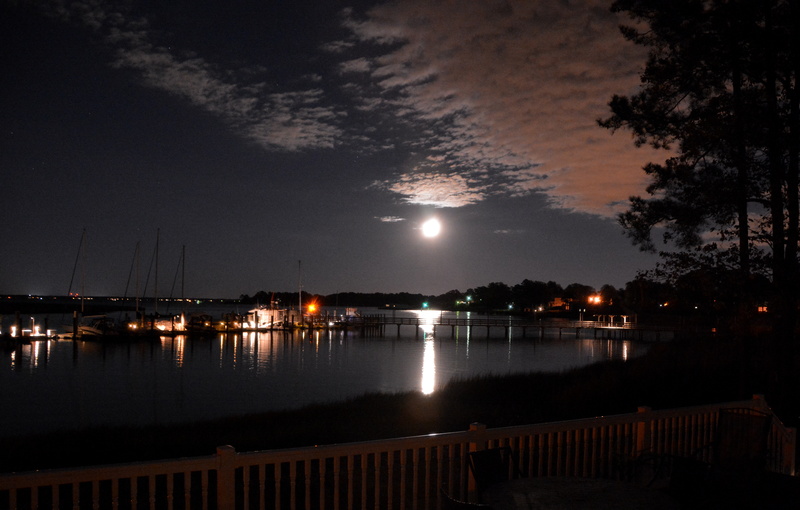 The moon picture is just beautiful, gorgeous, …..there aren’t enough adjectives. WOW. I’m enjoying the fall colors too. 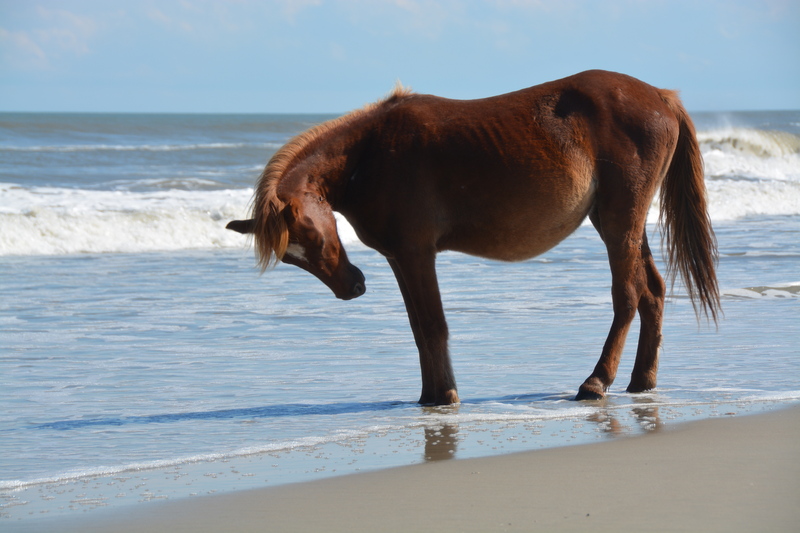 Sounds like an OBX horse sighting trip is overdue. Oh Gypsy, what a star she is! 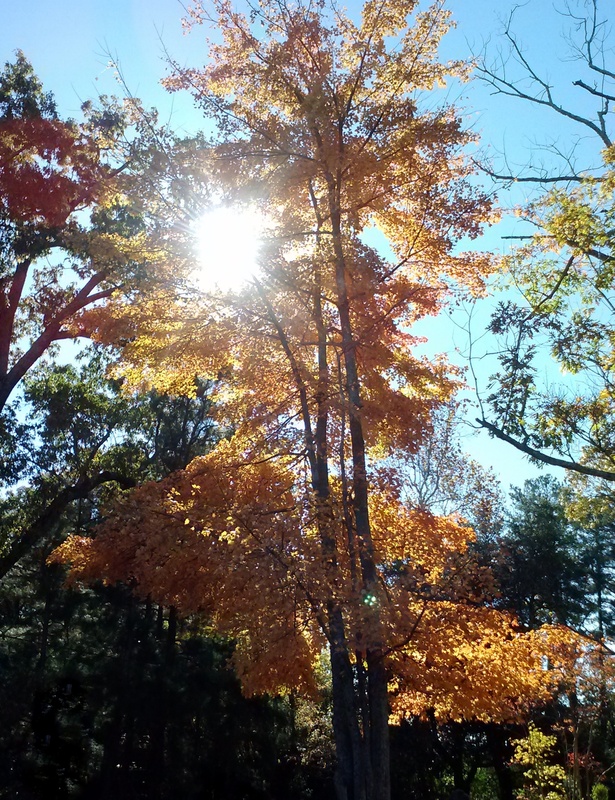 Enjoyed your trees still dressed in their fall coats of many colors; ours are now naked! :-O And while you were getting sleet, we got a dusting of snow. Wow, that pigture of Gypsy is stunning. She looks so soft. Mummy just wants to stroke her!! I didn’t hear any sleet this morning, but Winter is definitely here today! & I knew that pic of Gyp would be featured soon ! I’ve missed seeing Gypsy. The trees did seem to change rather suddenly. They were gorgeous on the way to Williamsburg, Tuesday. Of course, I didn’t get any photos at the time. Always like reading your Random 5 posts. Great moon shot, too. Love the reflection. Gypsy is so pretty! I love her coloring. The fall foliage is beautiful right, very nice pic. Another good R5F. Gypsy is a doll! And your Friday randoms always make me smile. Oh Gypsy steals the show today along with that gorgeous horse.